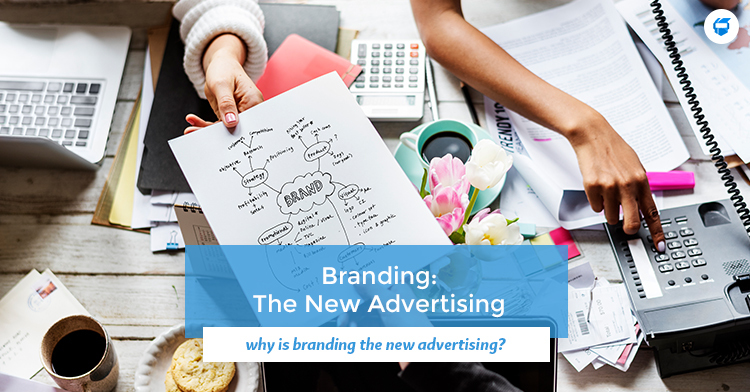 Branding: The New Advertising | WAZILE Inc.
Branding and advertising are two different types of marketing strategies. Some people think that advertising is tactical while branding is strategic. These two works closely together and both only has one goal, to persuade an audience in availing your product or service. But in today’s time, why can branding be the new advertising? Let’s find out. Before starting off on answering on why branding is the new advertising, we are going to differentiate the two. Advertising is a form of marketing communication to persuade an audience. It focuses on creating content to sell a product, idea or service to a customer. This focuses more on creative, persuasive copy of work that the media would buy to bring the message to your customers. This often works as campaigns in selling your product or service. Advertising aims to persuade potential or existing customers to buy a product or service. It’s one means of communicating the story of the brand. Meanwhile, according to the American Marketing Association, branding is anything that helps get potential buyers to remain loyal to your product such as the logo, symbol, name or design. Branding creates an association between the potential buyer’s ideals and the product. It is about creating repeat impressions which makes a connection to your audience. Advertising and branding can sometimes bring confusion to some people, but they are simple components of the marketing process that has the same goal on increasing sales and enhancing the company’s reputation. Why is Branding the New Advertising? When done right, branding will address the messages in your advertising campaign. While advertising is a form of marketing communication to persuade an audience, it creates a perception in the customer’s mind. It can make the customer remember the company and its product and creates an emotional connection between your customer and what you offer. Some people today often buy into an emotion. Some choose into buying a brand and are no longer impressed on advertised products. Why? It’s simply because of the brand! No matter how many times a product is advertised, if the buyer knows that this brand works, since it is about understanding the customer’s needs and wants, they will prefer a brand that they have always trusted as they have built an emotional connection to it. Branding differentiates what a company offers from other similar products and creates a unique identity of the service or product. It may seem subtle to find the difference between the two but the ideas are different from each other. But in today’s transparent world, people buy into people, into emotions and what the company stands for and purpose. A brand is not just a logo, it contains your company’s story to connect with your potential buyers. Want more articles like this? Like us on Facebook and follow us on Twitter and Instagram for the latest news and updates! Contact us today for we can help you get your branding done! Tricia writes blogs/articles and creates content for social media. She also has two dogs and is a professional Redditor and Netflix enthusiast. Why Use Instagram Stories for Your Business in 2019?